With neither friends nor family, Lucy Snowe sets sail from England to find employment in a girls’ boarding school in the small town of Villette. There she struggles to retain her self-possession in the face of unruly pupils, an initially suspicious headmaster, and her own complex feelings, first for the school’s English doctor and then for the dictatorial professor, Paul Emmanuel. Charlotte Brontë’s last and most autobiographical novel is a powerfully moving study of isolation and the pain of unrequited love, narrated by a heroine determined to preserve an independent spirit in the face of adverse circumstances. Charlotte Bronte lived from 1816 to 1855. In 1824 she was sent away to school with her four sisters and they were treated so badly that their father brought them home to Haworth in Yorkshire. The elder two sisters died within a few days and Charlotte and her sisters Emily and Anne were brought up in the isolated village. They were often lonely and loved to walk on the moors. They were all great readers and soon began to write small pieces of verse and stories. Once Charlotte’s informal education was over she began to work as a governess and teacher in Yorkshire and Belgium so that she could add to the low family income and help to pay for her brother Branwell’s art education. Charlotte was a rather nervous young woman and didn’t like to be away from home for too long. The sisters began to write more seriously and published poetry in 1846 under male pen names – there was a lot of prejudice against women writers. The book was not a success and the sisters all moved on to write novels. 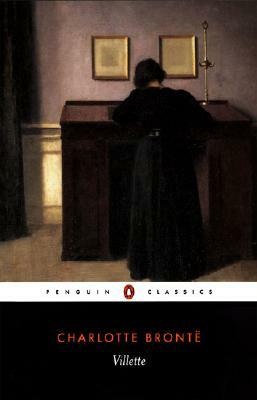 Charlotte’s best-known book, Jane Eyre, appeared in 1847 and was soon seen as a work of genius. Charlotte really knew how to make characters and situations come alive. Charlotte’s life was full of tragedy, never more so than when her brother Branwell and sisters Emily and Anne died within a few months in 1848/49. She married her father’s curate in 1854 but died in 1855, before her fortieth birthday. Helen M. Cooper is associate professor of English at the State University of New York at Stony Brook. I am only just returned to a sense of real wonder about me, for I have been reading Villette... (George Eliot)"